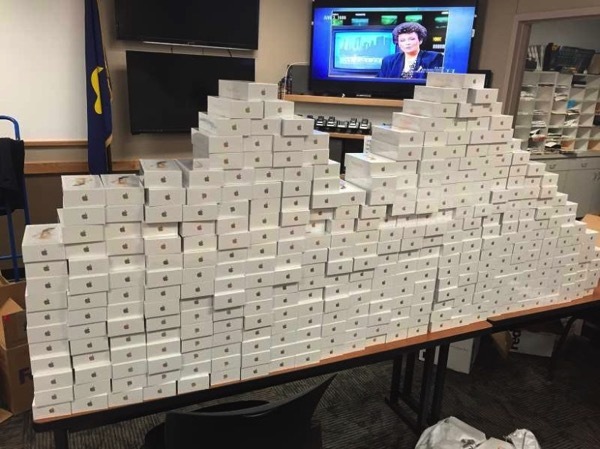 According to a report by KOIN 6 News (via CultOfMac), Police in Tigard, Oregon have cracked an organized retail crime operation, that used hundreds of gift cards to buy iPhones in Oregon and ship them to Hong Kong in a fraud worth $750,000. Detective T.J. Hahn told the press that organized retail theft has become a bigger crime than even drug sales. “This kind of activity makes millions of millions of dollars, into the billions” said Hahn. The investigation started on December 4th, when one man used “large stacks of gift cards” at the Apple store inside Washington Square Mall. He was then seen putting his newly-bought iPhones inside the trunk of a rented car, which was filled with Apple shopping bags. Police stopped the car and the 2 people inside allowed them to search the car. 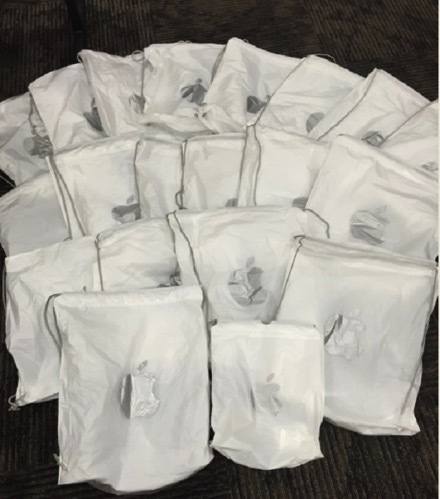 Investigators said they seized 470 iPhones, hundreds of gift cards and receipts totaling more than $585,000. Detectives then went to a nearby FedEx and found a number of boxes filled with iPhones the suspects had previously dropped off for shipment to Hong Kong. The fraudulent purchases may top three-quarters of a million dollars, investigators said. No one has yet been arrested and the investigation continues. The gift cards are directly linked to counterfeit credit cards that originated in Southern California, officials said.